Nova BACKUP xSP enables fully customized, affordable, customer-friendly solutions for online and local data backup. Designed for ISPs and ASPs, the software replaces NovaNet-WEB, NovaStor's highly rated online data backup software, and adds ease of use, scalability, and powerful new features. It replaces your current data service with a smarter, completely secure SaaS data backup solution offering. It replaces costly backup infrastructure. Protect customer data with customizable SaaS backup. 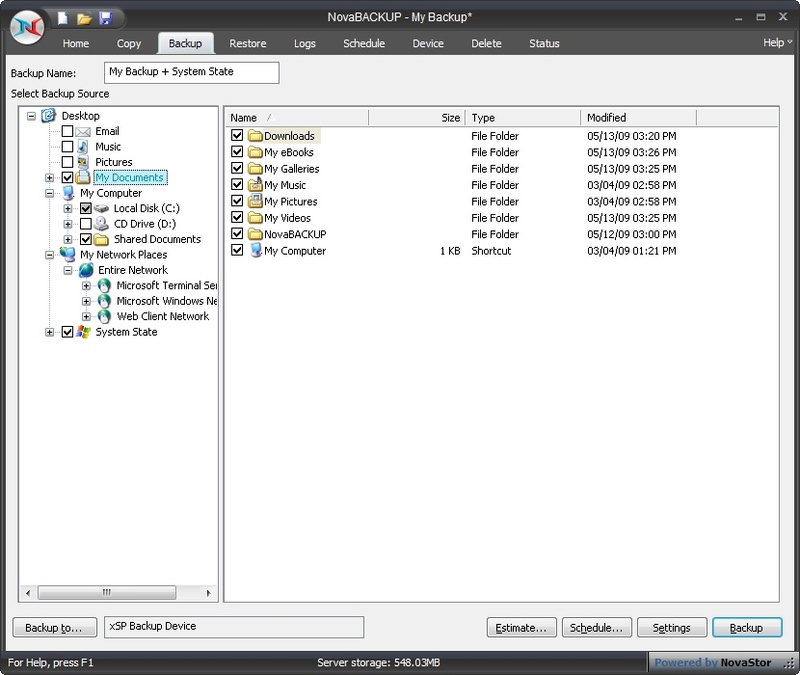 NovaBACKUP xSP replaces your current data service with a smarter, completely secure SaaS data backup solution offering. NovaBACKUP xSP replaces costly backup infrastructure with backup as a service for a low monthly fee. NovaStor's Strategic Growth Package can expand your reach into new markets, give you a strong base of recurring revenue, and deliver qualified SMB customer leads . NovaBACKUP xSP replaces costly backup infrastructure with backup as a service for a low monthly fee. NovaStor's Strategic Growth Package can expand your reach into new markets, give you a strong base of recurring revenue, and deliver qualified SMB customer leads. Qweas is providing links to NovaBACKUP xSP 12.2 as a courtesy, and makes no representations regarding NovaBACKUP xSP or any other applications or any information related thereto. Any questions, complaints or claims regarding this application NovaBACKUP xSP 12.2 must be directed to the appropriate software vendor. You may click the publisher link of NovaBACKUP xSP on the top of this page to get more details about the vendor.